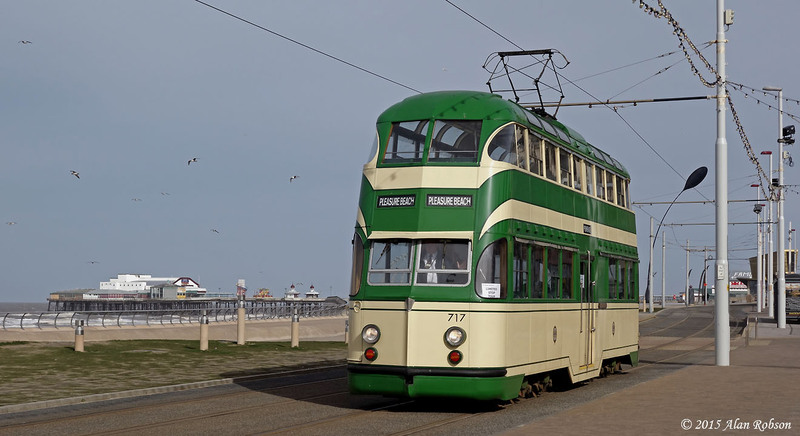 For the second day of the week, just one tram was running on the Blue timetable Heritage Tram Tours, the tram selected for use on Tuesday was modernised fat door Balloon 700. 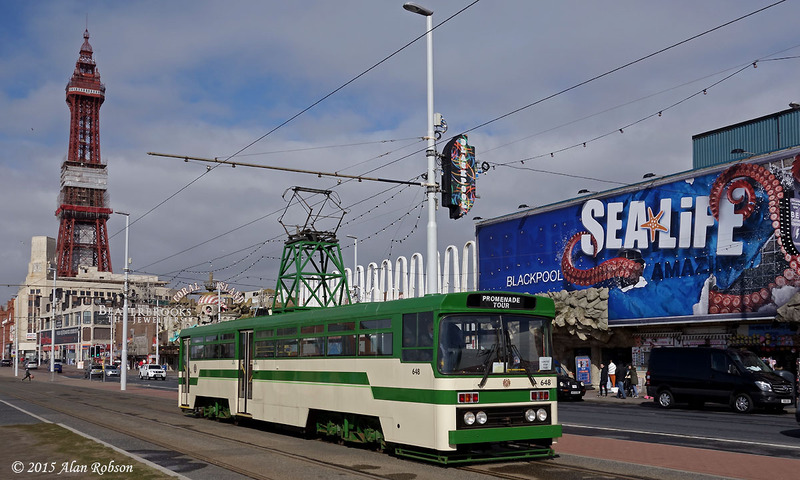 It is hoped to be back to a normal two tram service from Wednesday onwards until the Easter weekend. A weather warning was in place for gales all day on Tuesday 31st March on the Fylde Coast, which is rather apparent by the marram grass sculptures bending over in the wind in the photos. 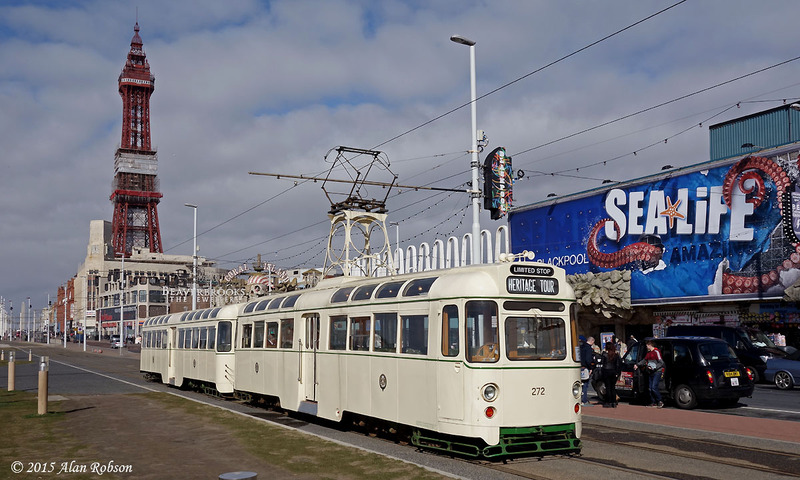 The first day of the 2015 weekday Heritage Tram Tours saw the temperature only reaching 6 deg C by mid-morning, with a bitingly cold onshore wind, unsurprisingly there were very few people strolling along the Promenade! 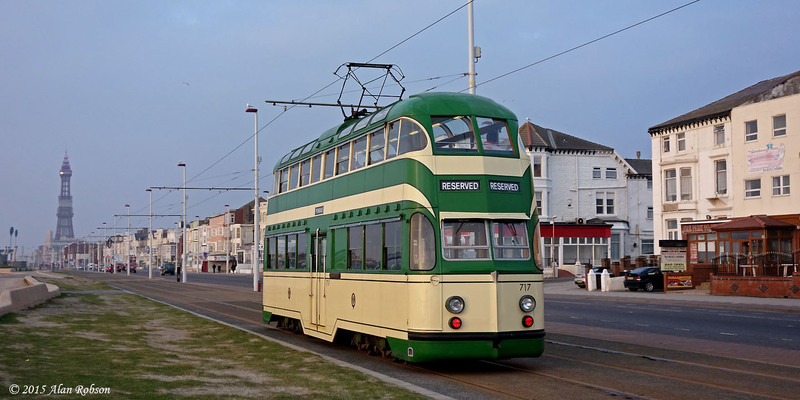 The advertised Blue timetable was meant to be "Two Heritage Fleet Trams operating a shuttle service", although for the first few trips at least 717 was noted trundling up and down handling the service all by itself, and running virtually empty due to the lack of potential passengers on the cold windswept Promenade. The weather on Sunday 29th March was very similar to the previous day, starting out very wet and windy, but drying up again in the afternoon, although the strong wind continued all day. 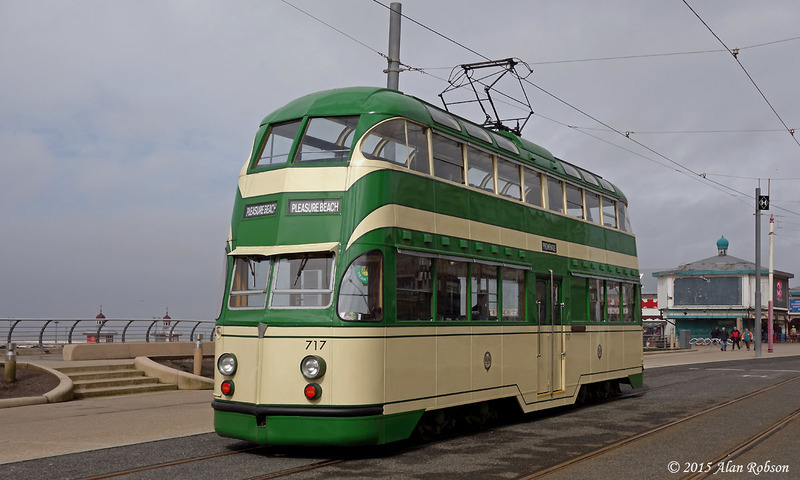 The trams rostered to run were Twin Set 272+T2 and Centenary Car 648. 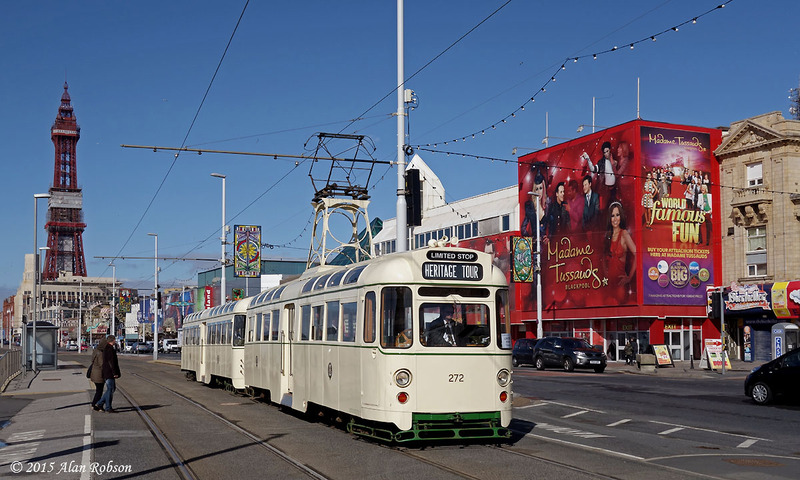 Both of these trams are now equipped with the excellent white on black heritage style destination blinds that are being produced by Peter Watts, although currently 648 is only carrying a prototype blind at one end of the tram. 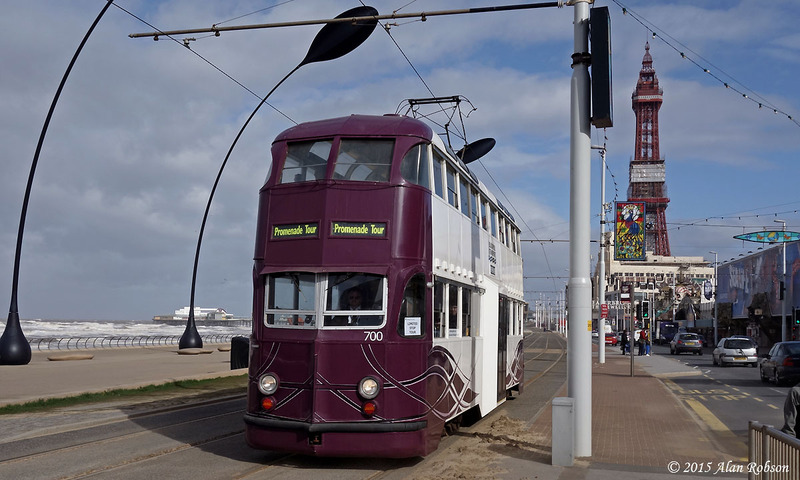 Saturday 28th March saw the first day of the 2015 timetabled Heritage Tram Tour service. 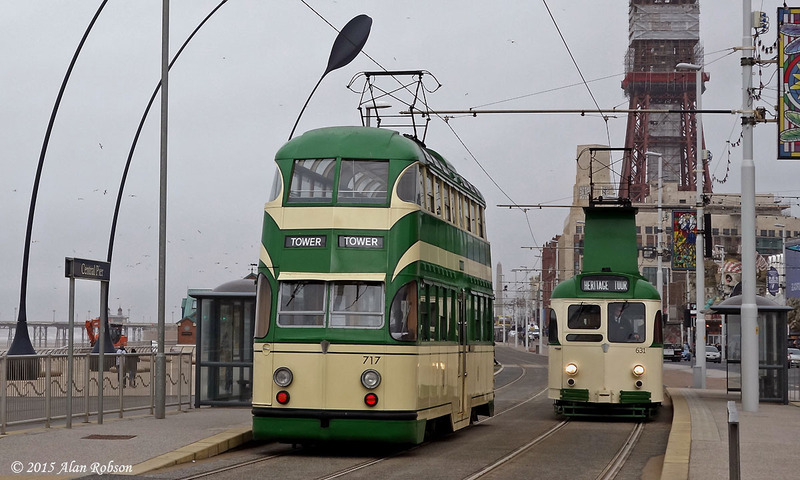 The original plan had been to use two open trams, but in view of the windy, wet and grey weather that was battering the Fylde Coast in the morning, it was decided to use Brush Car 631 and Balloon 717 instead, a much better choice given the very inclement weather during the early morning. Fortunately the heavy rain abated by mid-morning, but passenger loadings were still very light, given that many people hadn't even bothered to venture out due to the abysmal weather forecast for the day. 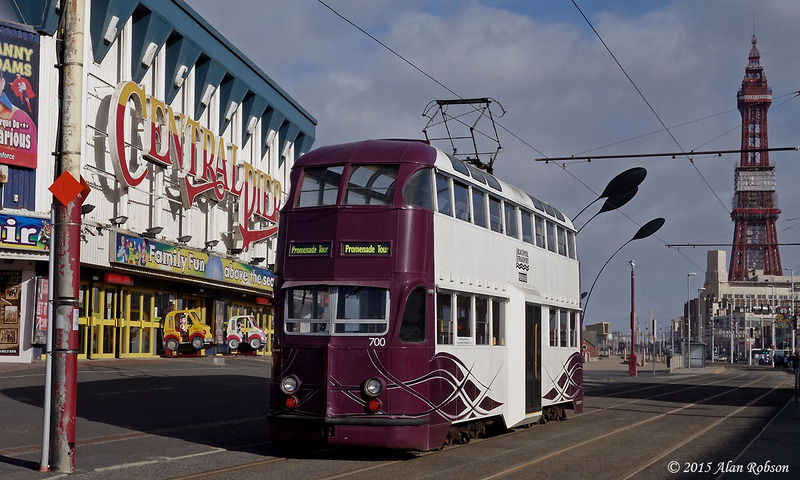 Hopefully when the public realise that the heritage trams are running again (and if the weather bucks up), more generous passenger loadings may result. 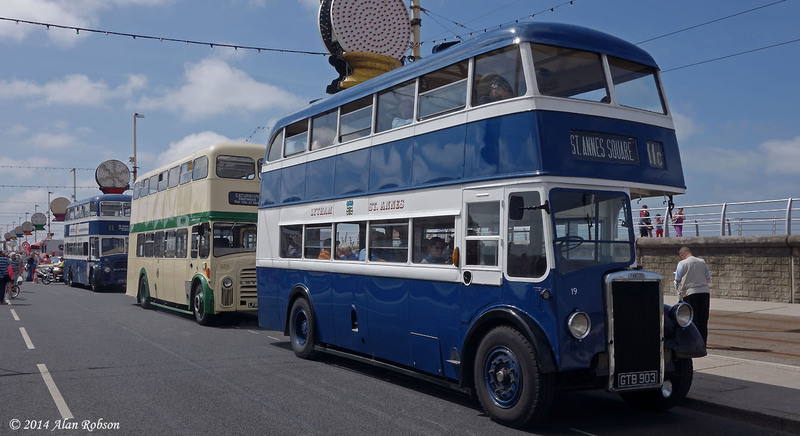 After 10 years of displaying vintage cars and buses along the South Promenade in Blackpool every June, the Totally Transport event that had been planned for this year has had to be cancelled. 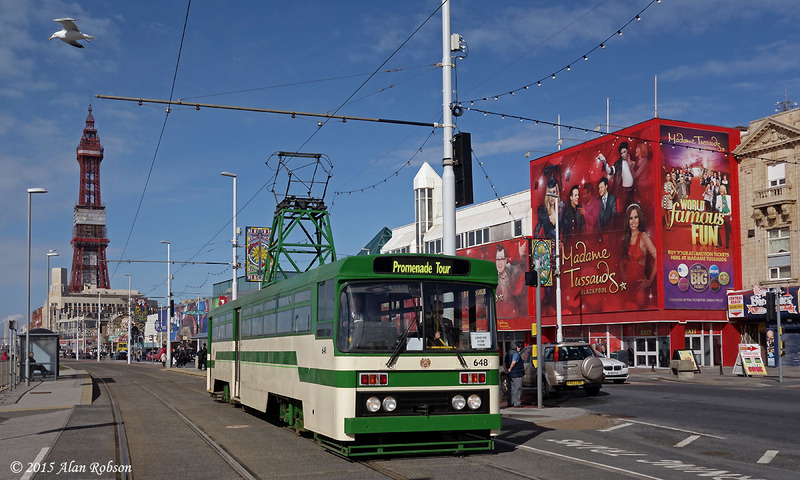 A lack of money is the reason that the 2015 event will not be taking place, although discussions may take place with the organisers of Fleetwood's Tram Sunday about pooling resources for future years. 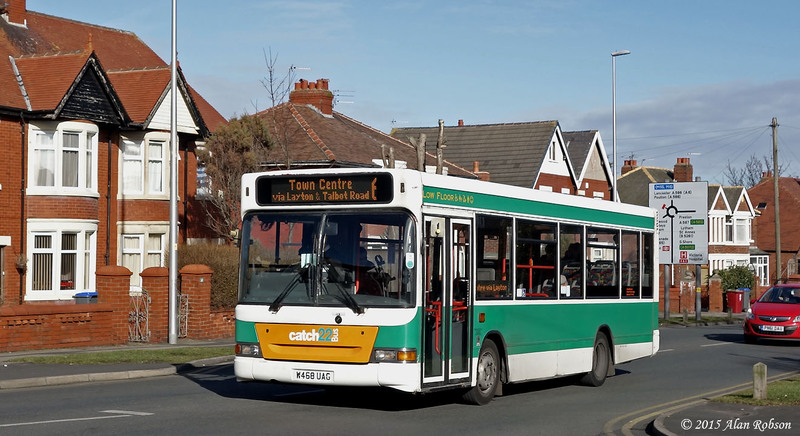 Some of the reasons for the cash shortfall this year are budgetary cutbacks within Blackpool Council, grants that had previously been received from the Council have been withdrawn this year, in addition the Council were proposing to levy charges for road closure and litter collection. 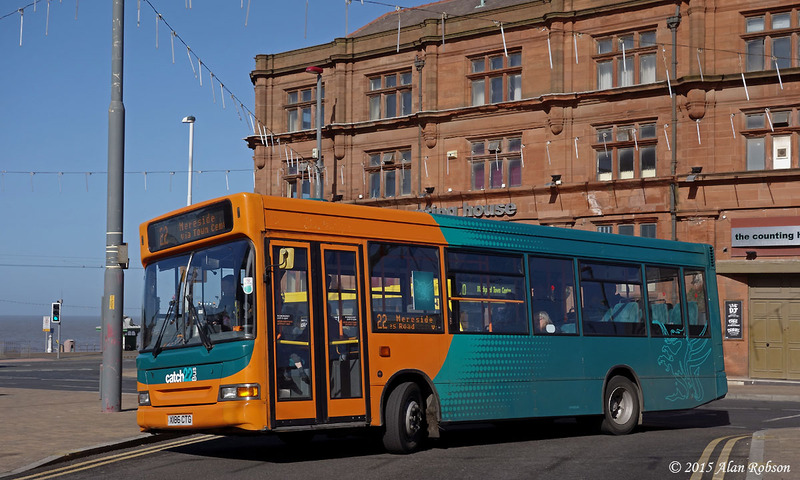 No charges are payable by vehicle entrants or for public admission, so with the Council funding being pulled the organisers felt that they had no choice but to cancel the event. 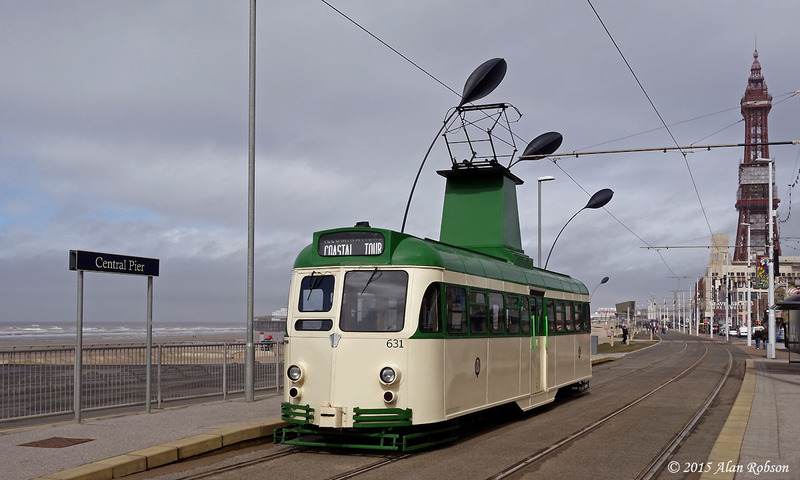 The junction of the Lytham Road tram track with the Promenade line has been the scene of several road vehicle incursions onto the Promenade reservation due to the remodelling of the road junction, which now forces cars to follow the trams lines. 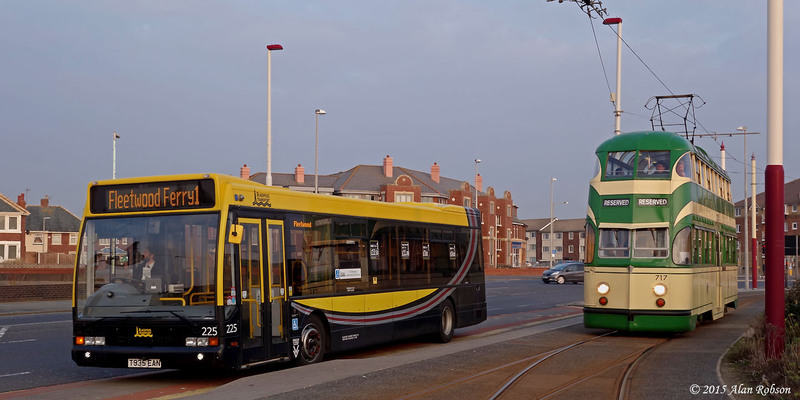 Until now a set of unsightly temporary plastic barriers have been positioned across the promenade access point for the Lytham Road branch, to prevent cars from driving onto the reserved tram track. 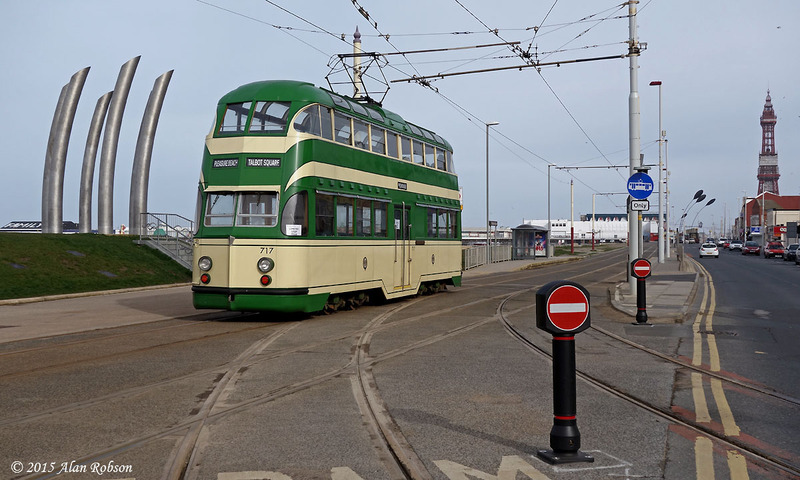 This impractical solution has required someone from Rigby Road tram depot to come down and move the barriers out of the way every time a tram wishes to enter or leave the Promenade. 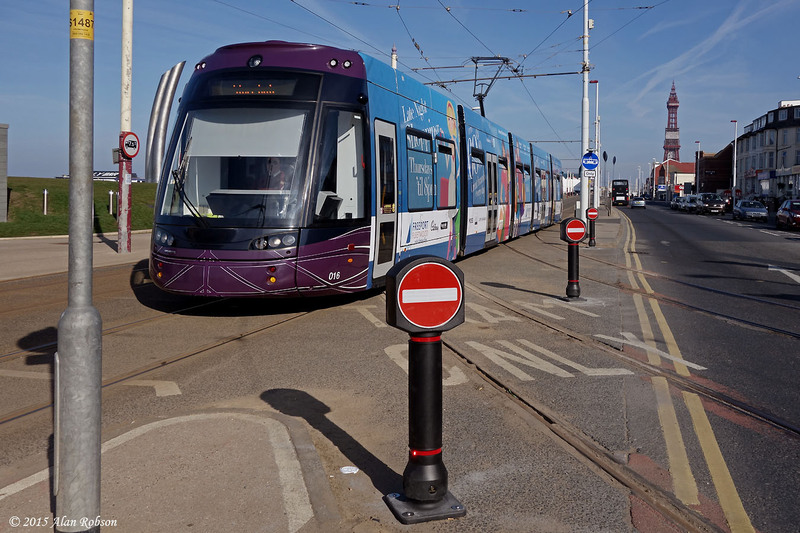 A neat fix has now been put into place with the installation of plastic no entry bollards being positioned between and alongside the Lytham Road rails. 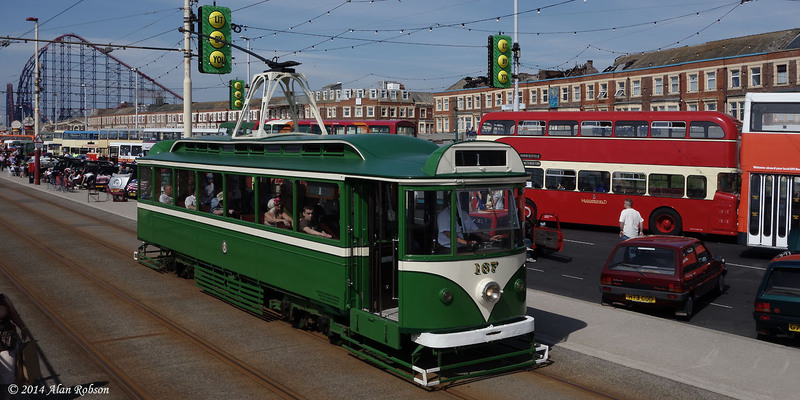 This solution permits trams to pass through the junction unaided, without the necessity for somebody having to come out from the depot every time to move the temporary barriers. Sunday March 22nd saw open-top Balloon 706 Princess Alice in use on heritage crew training. 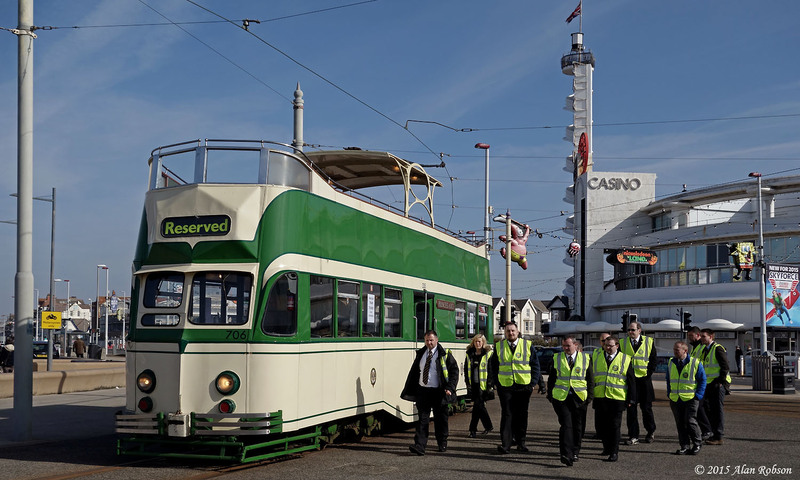 A school of volunteer conductors were being trained in the art of a guard's duties when conducting onboard a heritage tram, such as turning the trolley pole, changing points using a point iron, etc. The school consisted of a very respectable number of eleven volunteers, all eager to take up their new heritage guard duties when the 2015 Heritage Tour season begins in a only weeks time. The first heritage Ride and Dine event took place on the evening of Wednesday 18th March. 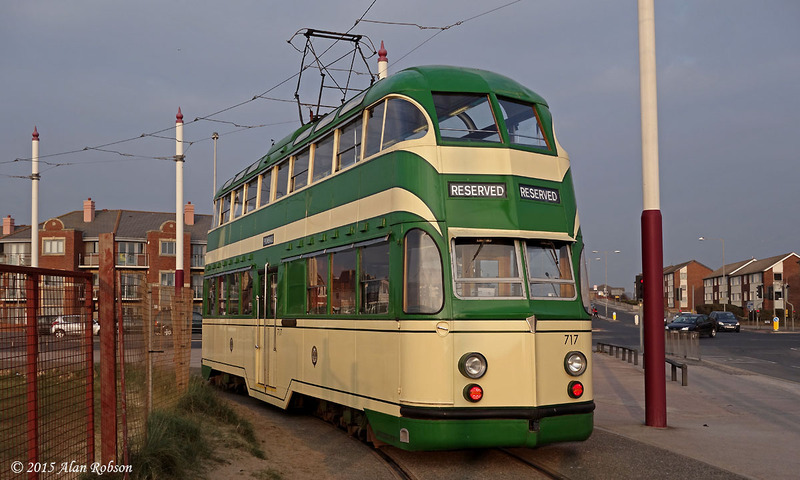 Balloon 717 was positioned alongside a temporary heritage tram stop on the turning circle at Starr Gate in order to make its first pick-up, before heading to North Pier shortly after 1700 to collect the rest of the guests, where the tram was due to depart at 1800. In order to help fill the tram, the journey was opened up to people who just wanted to ride rather than ride & dine. 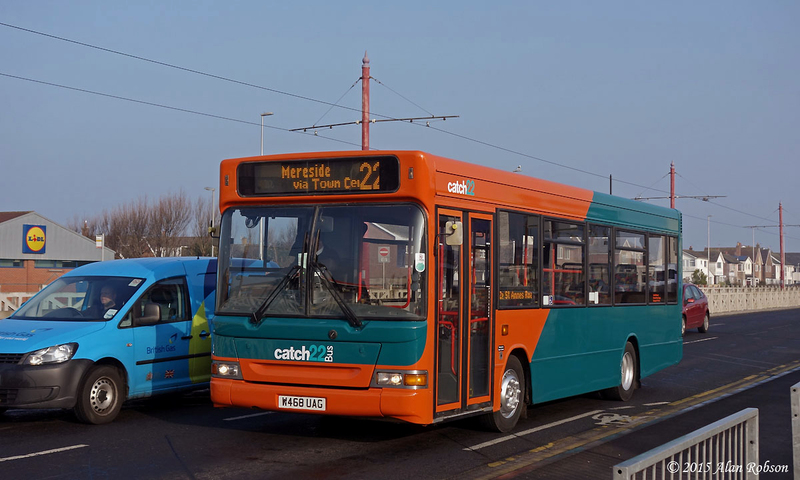 717 then proceeded to do a round trip via Little Bispham and the Pleasure Beach before returning to North Pier where the passengers could partake of a meal in a partner town centre restaurant. 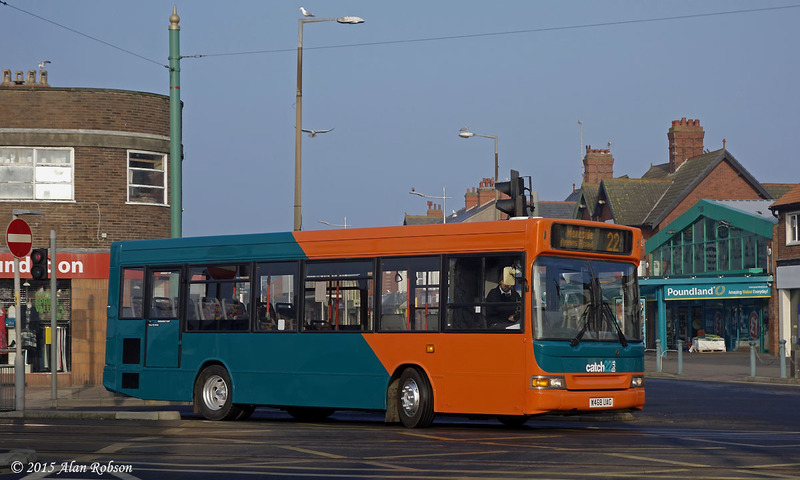 Former Whittle Dennis Dart W468 UAG entered service today in a new variation of the orange and turquoise livery of Catch22Bus Ltd. Until its repaint the bus initially ran in the green and white colour scheme of its previous operator. The new livery style differs slightly from previous repaints, with the dividing line between the two colours now being at 45 degrees. 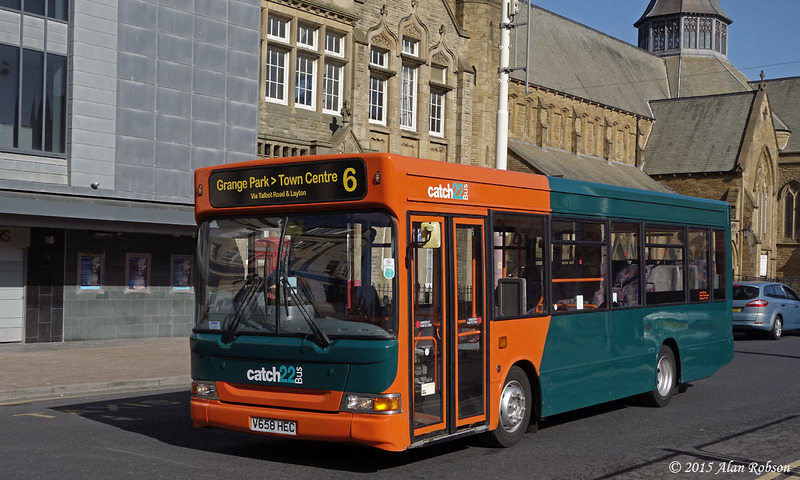 With Dart X186 CTG still carrying its Cardiff Bus livery, complete with Welsh dragons, there are now several variations of orange and turquoise livery to be seen in action with Catch22Bus.